The trusted name in protective coatings and remedial repairs. AWS Services is a market leader and the preferred choice in the residential and strata management fields of waterproofing, protective coatings and remedial services in Victoria, New South Wales and Western Australia. 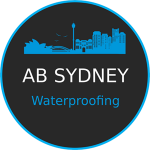 AWS was founded in 2001 to provide high quality services in the fields of waterproofing and remedial services in Melbourne, Perth and Sydney. We are motivated to achieve the most successful outcomes for our clients developing long lasting business relationships. We handle all jobs from start to finish and provide long lasting guaranteed solutions. AWS offers a range of high quality services in waterproofing, protective coatings and remedial services to the residential market. Areas of application that are popular include retaining walls, balconies, basements, garages, facades, roofs, decks, planter boxes, ponds, tanking and high traffic areas. Our tradespeople are the best in the industry. Whether you require an innovative solution or have a set project, we are here to help you. The integrated company of choice, for many major builders, and the general public, seeking quality waterproofing, tiling, concrete repair works, and general trades and services. AWS is a leader in our industry, as we strive to perform at our peak. We love to help our customers reach their building goals, or solve any building issues they may have. We consistently look for better products and better systems to ensure the best outcomes for our clients, our team and the environment. We offer the highest quality materials, and our highly trained technicians, are qualified to undertake any task within our industry. Our solutions will save you time and money.